No responsible motorist would risk driving a vehicle with brakes that are not functioning properly. Instead, a trip to the auto repair facility will be their top priority! Inefficient or failing brakes do not just endanger you and your vehicle but also compromise the safety of other people who are also out on the road. 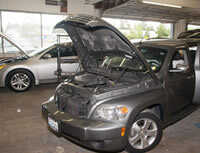 If you are having problems with the braking system in your car or truck, visit Lakewood Auto Body without delay. 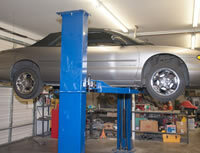 Our auto brake repair shop has served the Puyallup, WA area since 1962. Our auto brake repair shop offers Puyallup vehicle owners not just the best place to get brakes done but also the most reasonably priced place to get brakes done. Time and heavy usage take their toll on the brake system of any vehicle. While regular servicing goes a long way in preserving the efficiency and prolonging the lifespan of brakes, eventually every vehicle owner has to have their brakes repaired or replaced. Considering how risky it can be to take your vehicle out on the road if its brake system is performing below par, you cannot let anyone other than the most accomplished auto repair technicians work on the brakes. Lakewood Auto Body is the auto brake repair shop Puyallup residents can rely on for excellent brake service, repair, and replacement. Reach us at (253) 581-0220.